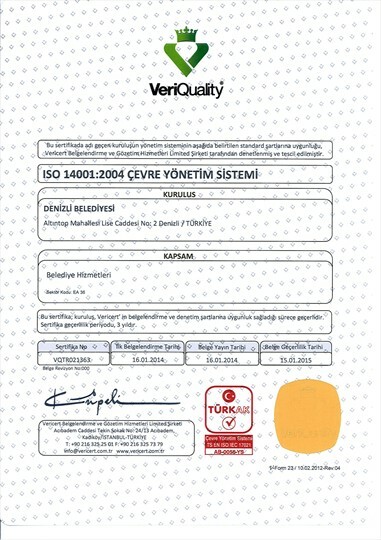 Taking the ISO 9001 Quality Management System and OHSAS 18001 Occupational Health and Safety Management System certificates before, within the continuing work to increase the municipality's quality of services, Denizli Municipality takes ISO / IEC 27001 Data Safety Management System, ISO 14001 Environmental Management System and ISO 10002 Customer Satisfaction Management System Certificates, increasing the number of certificates in management systems to 5. 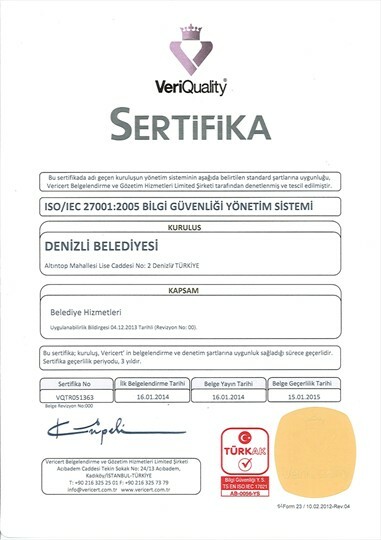 With the certificates received as a result of the inspections carried out by Vericert Certification and Inspection Services Company, was registered once again the Denizli Municipality's quality of management. 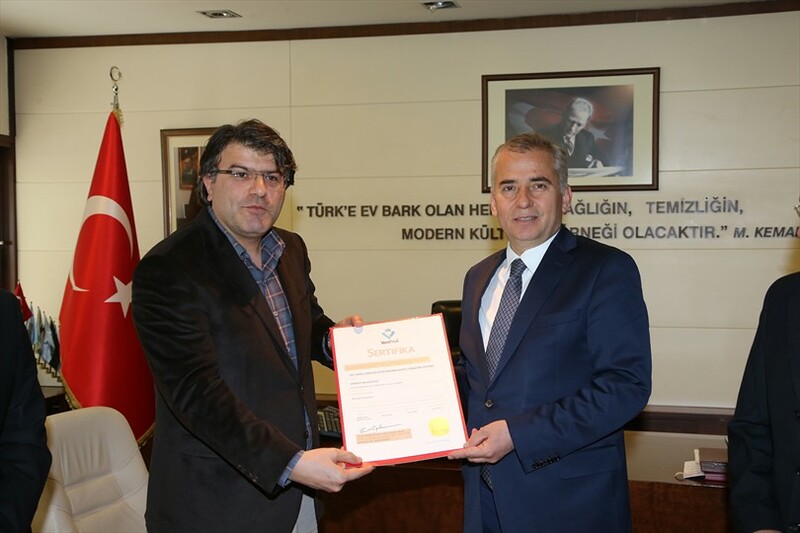 Visiting his office, the company representative Sami Ertuğrul offered the certificates to Mayor Zolan. 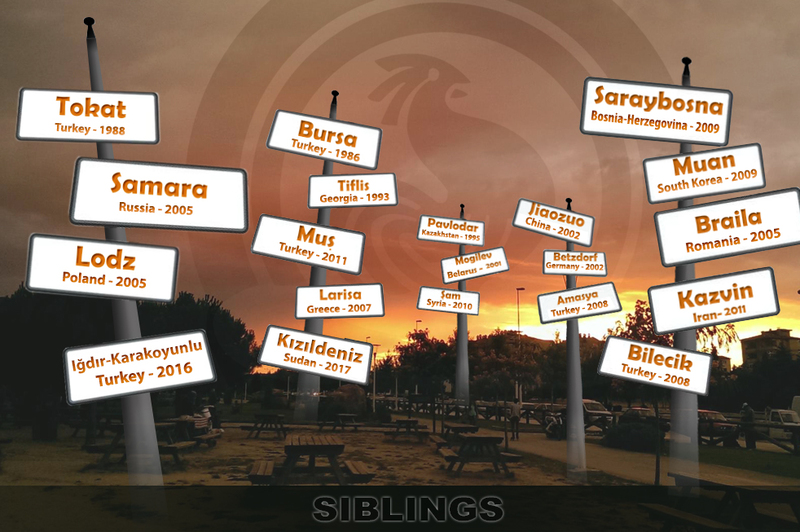 Deputy Mayor and Quality Systems Manager Mustafa Ünal, Consultant Petek Ürmez and the management team joined the certificate presentation. 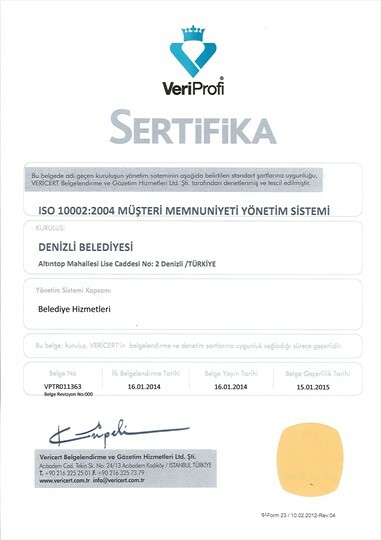 Taking the ISO 9001 Quality Management System and OHSAS 18001 Occupational Health and Safety Management System certificates before, within the continuing work to increase the municipality's quality of services, Denizli Municipality takes ISO / IEC 27001 Data Safety Management System, ISO 14001 Environmental Management System and ISO 10002 Customer Satisfaction Management System Certificates, increasing the number of certificates in management systems to 5.